Interference may be heard through the multimedia system's speakers if a cellular phone is being used inside or close to the vehicle while the multimedia system is operating. t This product is a class 1 laser product. ●Laser products • Do not take this unit apart or attempt to make any changes yourself. This is an intricate unit that uses a laser pickup to retrieve information from the surface of compact discs. The laser is carefully shielded so that its rays remain inside the cabinet. 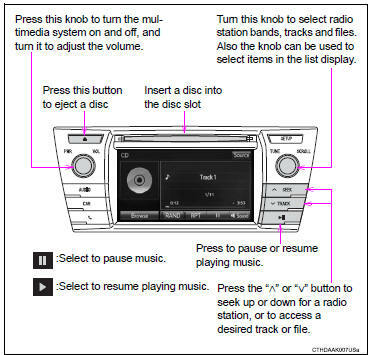 Therefore, never try to disassemble the player or alter any of its parts since you may be exposed to laser rays and dangerous voltages.